Rotors are available for choice. 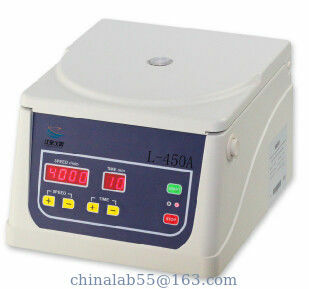 L-450A is a high-performance clinical centrifuge, offers simplicity and safety within a compact, elegant frame. For convenient operation, the L-450A features a built-in, high-performance, 8-place, fixed-angle rotor and a bright, updated LED display. The L-450A is ideal for small-batch clinical chemistry applications. The higher performance version of the centrifuge, the L-450A, is STAT capable and achieves PPP in minutes. In accordance with OSHA standards, excessive noise in the laboratory can lead to distractions, stress, anxiety, high blood pressure, and miscommunication. With Quiet operation, the L-450A is as quiet as a normal conversation. By reducing its noise, the L-450A with Quiet operation contributes to a calm, safe and productive work environment and will not increase noise levels within your lab. Advanced safety features of the L-450A include its all-metal containment and the Safety-Lock lid, which ensures a safe, tight closure on the centrifuge chamber during operation. Additionally, the l-450A employs the Easy-Lift lid that features stay-in-place positioning and lid-drop protection. The lid further limits repetitive stress injuries, spillage, and accidental sample disruption when loading and unloading your centrifuge. The L-450A Blood Tube Package comes complete with everything you need to perform your application. 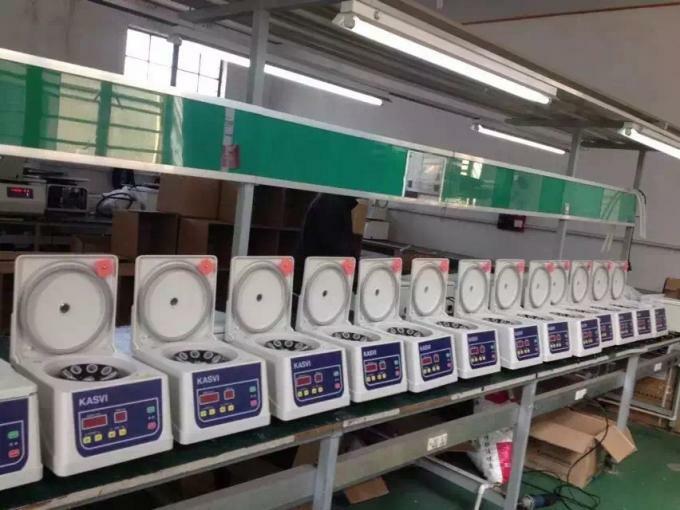 This includes the centrifuge, fixed-angle rotor for 13 x 75/ 100mm blood tubes. In addition to this package, many a-la-carte options are available, contact us for more details. Everything you need for your application in one complete centrifuge bundle. your application packages include the centrifuge, a rotor, as well as buckets, adapters and a lids when applicable.